This article was previously published for Yahoo when I was a Featured Shopping and Fashion Contributor. It was inspired from my helping out a friend trying to find clothing for her inverted triangle figure-type. This body type is figure that is either physically or visually broad at the top and narrow from the hips on down. Since then that article had been one of my more popular articles. 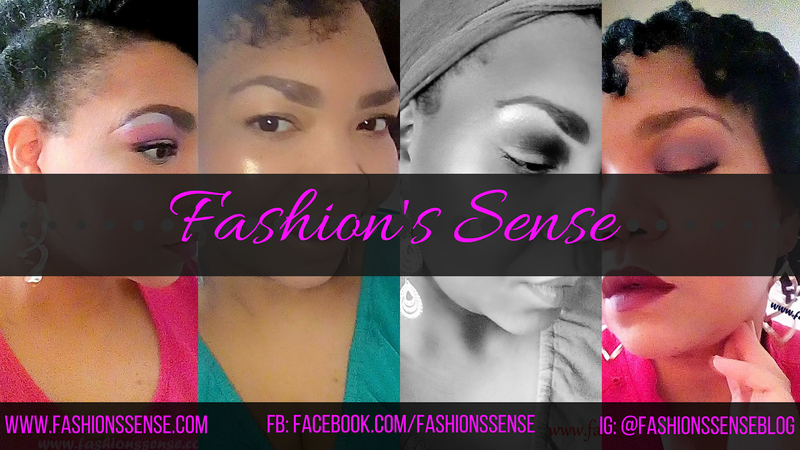 Since the article is no longer on Y!Voices and I retain the right to it, I am posting it here on Fashion Sense. Therefore, if you are having trouble creating balance for this shape these tips may help. Where Does Your Broadness Come From? First, take into consideration why you are wider or appear wider up top than the bottom. Do you have broad shoulders or are your breast large, giving you the appearance of having an inverted triangular frame? The way you balance your shape depends heavily on why you have this body shape. If you have broad shoulders with a narrow lower half, you need to choose garments that minimize your shoulder span. Shoulder pads are a no-no. Leave a shoulder bare - this asymmetrical look helps to minimize the broadness of the shoulders. Wear an empire-waist shirt or dress - these fit close above the bust flow into an A-line silhouette just under the bust that adds fullness to your lower half. V-necklines - help draw attention away from your broad shoulders and down towards the bust area. If your bust is giving you the appearance of an inverted triangle shape, then chances are you don’t have broad shoulders at all. You may also have waist definition and curvy hips. However, your large bust probably hides these assets. Empire-waist top or dress - balances out your lower half plus allows you to show off your ample bosom. Flared shirt or dress - the flare will fall softly away from the sides of your bust into an A-line shape to help disguise a narrow hip and lack of waist definition. Wear a minimizing bra. 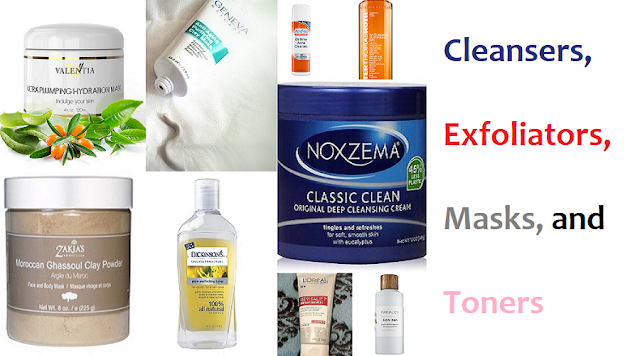 It can reduce the appearance of your bust by a cup size or more. I have mentioned the term "waist definition" earlier. What I mean by this is an inward curve is present at the waist that leads to an outward curve at the hip. Most inverted triangle shapes I've seen lack waist definition and a curve at the hip. Creating the illusion of these defining curves is another way to help balance this body shape. Wear a blouson shirt or dress - the gathering around the waist of these garments give the appearance of a smaller waist and a curve at the upper hip. Wear a wide belt or corset belt. These belt styles work well with dresses and slim fitting tunics. When worn in a contrasting, darker color such belts create the illusion of a smaller waist and curvier hips. Wear relaxed-fit and wide-leg pants - relaxed-fit pants are roomier in the hip and thighs. The extra room around the hips can give the appearance of curves. Wide-leg pants add stylish volume that balances a wide upper torso. If the trend is a slim pant or legging, balance it with an empire-waist top or blouson top with a long hem. If the trend is a form-fitting dress, look for styles featuring colorblocking around the waist or a dark top/light bottom combination. Also, wear a belt that cinches the waist a bit to add definition. When choosing a trendy form-fitting top, pair it with a flared or A-line skirt, relaxed-fit pant, or wide-leg pant. When it comes to color, wear darker colors up top or at the waist to make them appear smaller. Wear lighter or brighter shades at your lower half or around the hip to add width. 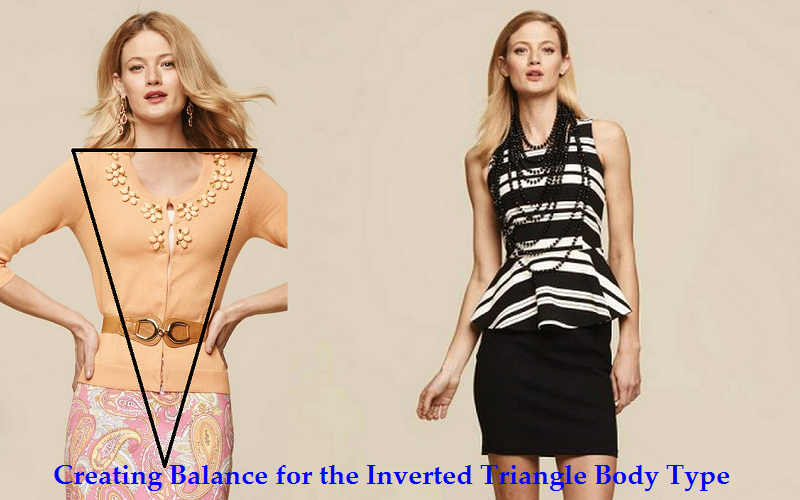 These tips will help balance out an inverted triangle shape. Remember, creating balance does not mean you have to sacrifice wearing a fashion trend. Just adjust the trends for your body, making the fashion trend work for you. Main Image Credit: Macy's Inc.